To mark International Woman’s Day in 2018 we are celebrating the achievements of just some of the academics working here at Brighton. Our Women of Impact web features demonstrates how our academic staff are achieving great things, working on the complex challenges facing society, educating and inspiring the next generation and making an impact in communities. The varied and diverse career journeys illustrate the huge range of talent that we welcome at the University of Brighton. 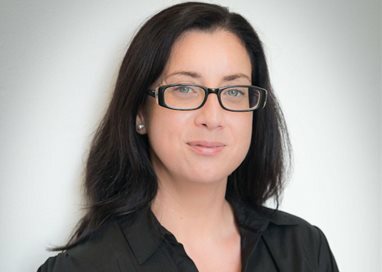 From Brighton Business School you can read about our new Law CPE/LLM Course Leader, Dr Claire-Michelle Smyth below, other academics’ profiles can be viewed here. Dr Claire-Michelle Smyth was appointed to the University as a senior lecturer in law in 2015. She is the course leader for the CPE/LLM in law. Before coming to Brighton, she held posts in Dublin City University, Griffith College Dublin and Boston University. Having completed a Masters Degree in International Human Rights Law, Claire-Michelle graduated from Queens University Belfast with a PhD in 2015. Her research focused on whether the European Convention on Human Rights could be used to strengthen and make justiciable social and economic rights in Ireland. I am a passionate advocate of human rights. I endeavour to educate people as to their rights under international human rights law and to further the discussion on the legal status of social and economic rights in the UK. Claire-Michelle researches mainly in the area of human rights law and has a specific focus on social and economic rights. Since finishing her PhD she has published ‘Social and Economic Rights in Ireland’ with Clarus Press and has also contributed two book chapters on the topic: ‘Social and Economic Rights in International Law: The Struggle for Equivalent Protection’ in Jean Quatet and Lora Windenthal (eds) Routledge History of Human Rights and ‘Social and Economic Rights in a post-neoliberal society’ in Claire-Michelle Smyth and Richard Lang (eds) The Future of Human Rights in the UK. She has also published European Employment Law: A Brief Guide to the Essential Elements and Comparative Contract Law (with Marcus Gatto). In addition, she has presented her research at national and international conferences. In 2016, with Professor Marie Benedicte Dembour, Claire-Michelle organised the University’s first one-day law conference which was attended by academics and practitioners from Ireland and the UK. Following on from the success of this conference she is currently organising its successor which will take place in December entitled ‘Contemporary issues in Human Rights Law and Practice’. While in Dublin, Claire-Michelle was a director of the Irish Innocence Project and she still maintains close links with this institution. She is a strong advocate for the abolition of the death penalty and works with institutions such as the Sunny Centre to assist those who have been wrongfully convicted and sentenced to death. In November 2015, Claire-Michelle brought two exonerees, Peter Pringle and Sunny Jacobs to speak at the University of Brighton and in November 2017, Paddy Hill from the Birmingham six and Robert Brown came to share their stories of wrongful conviction. Currently, she is involved as a researcher and assistant in the case of Pringle v Ireland. Further, Claire-Michelle has joined with Just Fair UK to host a yearly event in Brighton promoting social and economic rights and she is a member of ESRANI UK. She has previously advised government members and been involved in drafting policy papers. She also volunteers at a homeless shelter where she assists residents in applications, appeals and court proceedings in areas of employment law, housing and social welfare and family law matters. Claire-Michelle understands the difficulty that students have in balancing study and work life. Having studied at night while working full-time Claire-Michelle has some insight into the pressures facing students today. She completed her doctorate in three years while holding down a full-time lecturing post and actively engaging in academic activities. Her teaching is focused on enabling students to get the most out of the time that they have to dedicate to their studies. Tagged human rights, Industry, International Woman's Day. Bookmark the permalink.